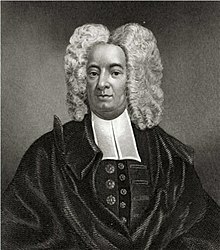 Cotton Mather (February 12, 1663 – February 13, 1728), A.B. 1678 (Harvard College), A.M. 1681; honorary doctorate 1710 (University of Glasgow), was a socially and politically influential New England Puritan minister, prolific author and pamphleteer. Magnalia Christi Americana (The Ecclesiastical History of New England), s. 63 (1702). Mather, commenting on the spiritual condition of the colonies, cited an old saying in Latin: Religio peperit Divitias, et filia devoravit matrem. The Natives of the Country now Possessed by the New-Englanders, had been forlorn and wretched Heathen ever since their first herding there; and tho' we know not When or How those Indians first became Inhabitants of this mighty Continent, yet we may guess that probably the Devil decoy'd those miserable Salvages hither, in hopes that the Gospel of the Lord Jesus Christ would never come here to destroy or disturb his Absolute Empire over them. Magnalia Christi Americana (The New English History), Book III, p. 190 (1702). Stacy Schiff. "The Witches of Salem: Diabolical doings in a Puritan village", The New Yorker, September 7, 2015, pp. 46-55. The Puritans in New England were not immediately presented with an Indian problem, for diseases introduced earlier by trading ships along the coast had badly decimated the Indian population. Yet when the Pequots resisted the migration of settlers into the Connecticut Valley in 1637, a party of Puritans surrounded the Pequot village and set fire to it. About five hundred Indians were burned to death or shot while trying to escape; the Whites devoutly offered up thanks to God that they had lost only two men. The woods were then combed for any Pequots who had managed to survive, and these were sold into slavery. Cotton Mather was grateful to the Lord that "on this day we have sent six hundred heathen souls to hell." Mr. Buroughs (sic) was carried in a Cart with others, through the streets of Salem, to Execution. When he was upon the Ladder, he made a speech for the clearing of his Innocency, with such Solemn and Serious Expressions as were to the Admiration of all present; his Prayer (which he concluded by repeating the Lord's Prayer) [as witches were not supposed to be able to recite] was so well worded, and uttered with such composedness as such fervency of spirit, as was very Affecting, and drew Tears from many, so that if seemed to some that the spectators would hinder the execution. The accusers said the black Man [Devil] stood and dictated to him. As soon as he was turned off [hung], Mr. Cotton Mather, being mounted upon a Horse, addressed himself to the People, partly to declare that he [Mr. Burroughs] was no ordained Minister, partly to possess the People of his guilt, saying that the devil often had been transformed into the Angel of Light. And this did somewhat appease the People, and the Executions went on; when he [Mr. Burroughs] was cut down, he was dragged by a Halter to a Hole, or Grave, between the Rocks, about two feet deep; his Shirt and Breeches being pulled off, and an old pair of Trousers of one Executed put on his lower parts: he was so put in, together with [John] Willard and [Martha] Carrier, that one of his Hands, and his Chin, and a Foot of one of them, was left uncovered. William Frederick Poole, (1869). Cotton Mather and Salem Witchcraft. Cambridge: University Press: Welch, Bigelow, & Co. p. 67. Cotton Mather never in any public writing 'denounced the admission' of it, never advised its absolute exclusion; but on the contrary recognized it as a ground of 'presumption' ... [and once admitted] nothing could stand against it. Character, reason, common sense, were swept away. This page was last edited on 29 October 2018, at 00:46.